Medical conference "Modern approaches to the treatment of patients with atrial fibrillation." 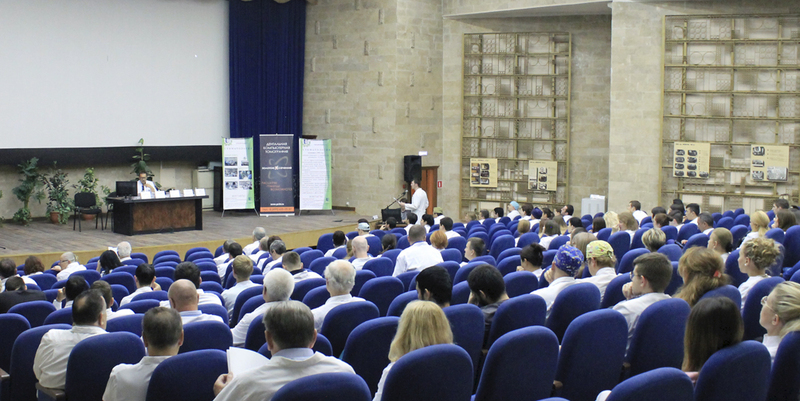 - ООО "Актив Лайф Технолоджи"
On June 20, with the support of our company, the medical conference “Modern approaches to the treatment of patients with atrial fibrillation” was held at the base of the RSPC “Cardiology”. The event gathered about 100 experts from different regions of Belarus. The topic of prevention and treatment of atrial fibrillation does not lose its relevance, as every year unfortunately there are more and more patients with a diagnosis of atrial fibrillation. Our company pays a lot of attention to informing doctors about AFIB technology – a diagnostic function in Microlife tonometers, designed to detect atrial fibrillation, because early detection of atrial fibrillation is a reliable method of primary prevention of ischemic strokes. At the conference, doctors showed great interest in this technology and in the future they plan to actively promote this method of diagnosing atrial fibrillation in patients, since early diagnosis of the problem will help minimize the serious consequences of stroke.